The fake game sent Â£5 text messages to its owners. 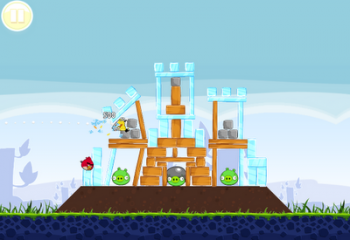 A Latvian company has been fined Â£50,000 ($78,385) for a scam in which it offered supposedly "free" versions of popular mobile games like Rovio's Angry Birds, Cut the Rope, and Assassin's Creed. When a user downloaded the app and tried to run it, the game would return an error message and would fail to open. That in itself doesn't sound so terrible. After all, it was a free app, so there's no way that the company was profiting from it; all it was doing was wasting peoples' time, right? Unfortunately, the apps would then send three hidden SMS text messages costing Â£5 apiece to the phone's owner, charges that would go unseen until the monthly phone bill arrived. According to the BBC, more than 1,000 people were tricked by the fake apps, which appeared on Google's Android Market late last year. The court has ordered the company to refund a further Â£28,000 ($43,904) to victims of its scam.